This article is proudly sponsored by the Cornwall Wildlife Trust. St Ives is rightly renowned for its seabirds, and a wide variety of species can be found here throughout the year. Perhaps the most obvious of its seabirds and resident throughout the year are its gulls. The town’s breeding Herring Gull population has been widely studied, which has led to some interesting discoveries about the birds and their behaviour. We know that over recent decades, their overall numbers have reduced dramatically. The Herring Gull is now an endangered Red List Species, a species of most concern in the UK. We also know that gulls are very intelligent birds, which as their natural food sources in the marine environment have declined, have learned quickly that our towns are full of food waste – and most of it easily accessible. 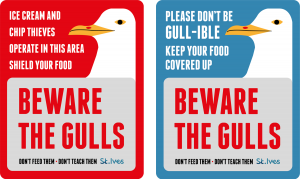 However, St Ives has had some success in launching public awareness initiatives in order to try and reduce this waste and the associated gull issues. Cormorants and shags are largely aquatic and mainly dark plumaged birds known for their diving behaviour and habit of hanging their wings out to dry. 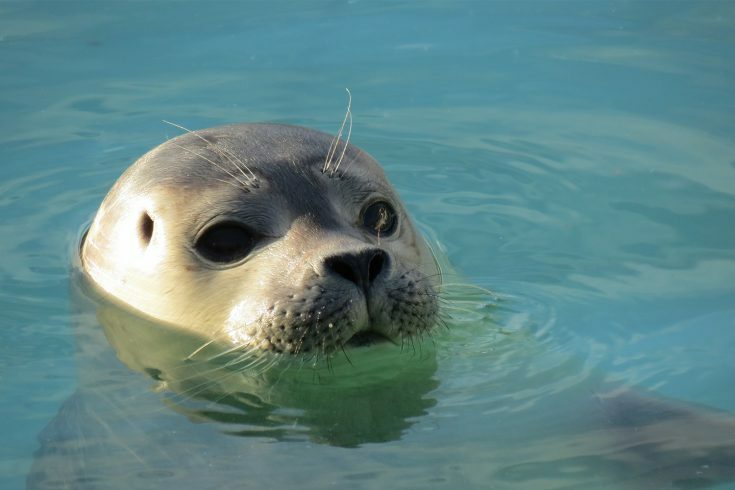 Both species can be found around the bay and sometimes cause confusion. However, if you can see the eye of the bird you should be able to identify it; a Cormorant has skin around its eye, where Shags always have feathers. In winter and early spring, St Ives Bay plays host to a variety of diving birds, which shelter here from the rough seas offshore. These include nationally important numbers of both Great Northern and Black-Throated Divers, as well as some of the rarer Grebes – including the Red-Necked and Slavonian. Just to the east of St Ives Bay, Carbis Bay is a particularly good place to look. It is also at this time of year that you are most likely to encounter the auk family – the Guillemot, Razorbill and Puffin – which although breed in small numbers in the county are best known as winter visitors. Because of its situation, the Island – the rocky headland at the western end of the bay, is rightly regarded as one of Britain’s premier ‘sea watching’ sites. During late summer and autumn, given the right conditions – usually north-westerly winds, seabird passage can be spectacular here as many thousands of normally ocean-going seabirds, including a variety of Shearwaters and Skuas, Gannets and Kittiwakes pass relatively close inshore. Whilst rocky shores like those found around St Ives are not so well known for their wading birds, in the winter a couple of species can be found around town without difficulty. These include the Turnstone – so called because of its habit of flipping over pebbles in search of their food – and the Purple Sandpiper. 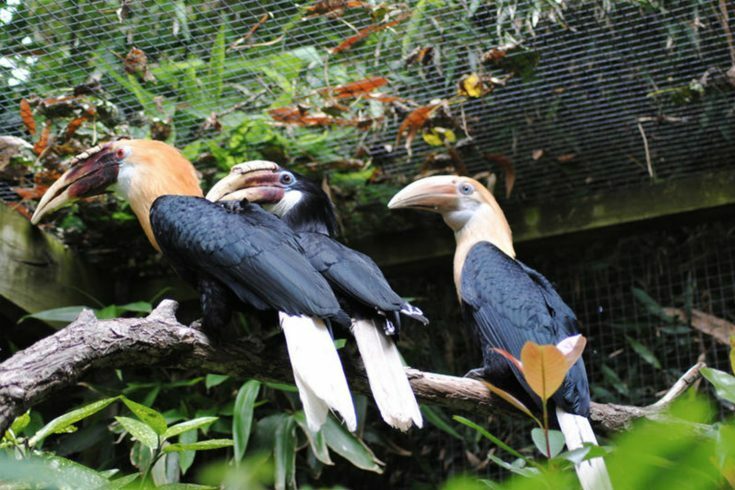 These birds are often found in each other’s company since both species forage on wave-washed and seaweed covered rocks. Since both species breed on remote Arctic shores, both seem to have very little fear of humans and can sometimes be quite tame, Turnstones in particular often seen dodging traffic around the harbour as they forage! One of the most important ways you can aid Cornish wildlife and its conservation is to become involved in recording the wildlife that you see. Probably the easiest way to do this is via our wildlife recording website, Online Wildlife Recording for Kernow & Scilly (ORKS). Here you will be able to pinpoint the position of your sightings on the map and add any other details you think might be relevant. You can also upload photos to aid the verification process. You can submit records without logging in, but if you register a username account you will also be able to access many other facilities on the site. The Wildlife Information Service is here to help you with your wildlife questions, so please do let us know if there is anything else we can help you with, from identifying species to encouraging wildlife in your area.